This show was 1st in the global beats chart, 1st in the global funk chart, 1st in the global soul chart, 1st in the global hip hop chart and 1st in the global vinyl chart. 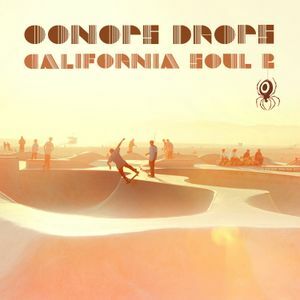 Oonops invites you to his second part of &apos;California Soul&apos;! Expect two great exclusive guest mixes: the first is by Boca 45 from the UK - the man behind 45Live and who is also known for his project Dynamo Productions with DJ Andy Smith. Furthermore he did the opening set for Banksy&apos;s Dismaland and now he smashes some heavy music from hip hop to funk in this mix. Oonops&apos; next guest is Breakin Bread artist Kazahaya from Japan who drops some lovely soul tunes and exclusive new releases in his part. Taken me a while to get back round to listening to this mix. Loving it. Quality!